Volcanic Slots Casino is a new online casino that started operating in 2016 and accepts players from South Africa. It is a modern establishment that will make your gaming experience superb! Read more below in our Volcanic Slots Casino review. 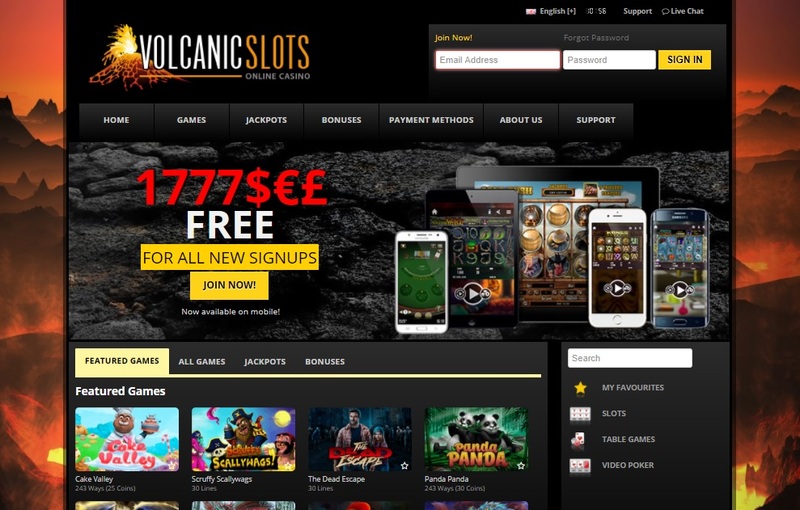 The website design of Volcanic Slots Casino matches its name – you can see burned out and deserted volcanic landscapes. Colors are dark red and black, but don’t worry – you will not feel depressed spending time here – bright games banners and great promotions will light up your mood! 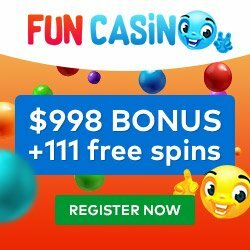 All information on the website is very easy to find, it is divided into appropriate sections like Casino Games, Bonuses, Payment Methods etc. Volcanic Slots Casino is licensed in Curacao. It has English, French, Portuguese, Italian, Greek, Spanish and Japanese versions. 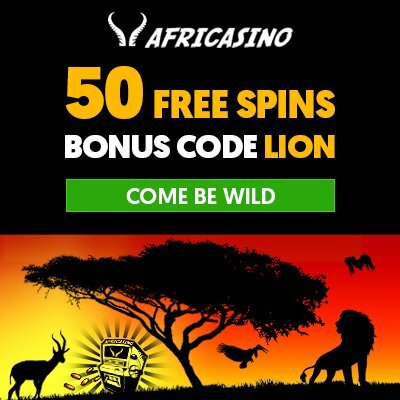 There is no downloadable version of the casino – play in your preferred browser any time! Registration process will take not longer than a minute – minimum personal details are needed, plus you can choose your preferred currency. The casino uses software from Habanero Gaming – which is quite unique. Casino has a mobile version. Volcanic Slots Casino offers over 65 different games and this number is constantly growing. You can play your favorite card games, table games, slots, video slots and games with jackpot. – 100% up to R2,777 on your first deposit! Use coupon code SIGNUP100. – 75% up to R2,500 on your second deposit! Use coupon code SIGNUP75. – 50% up to R2,500 on your third deposit! Use coupon code SIGNUP50. Volcanic Slots Casino offers other deposit bonuses from Monday to Thursday. Check Bonuses section on the casino website to learn more. Accepted currencies: USD, EUR, Canadian Dollar, Australian Dollar, British Pound and South African Rand. For players from South Africa the following payment methods are allowed: Credit Card, Skrill, Easy EFT and FNB Bank Account. From our Volcanic Slots Casino review you can see that this casino definitely deserves your attention.